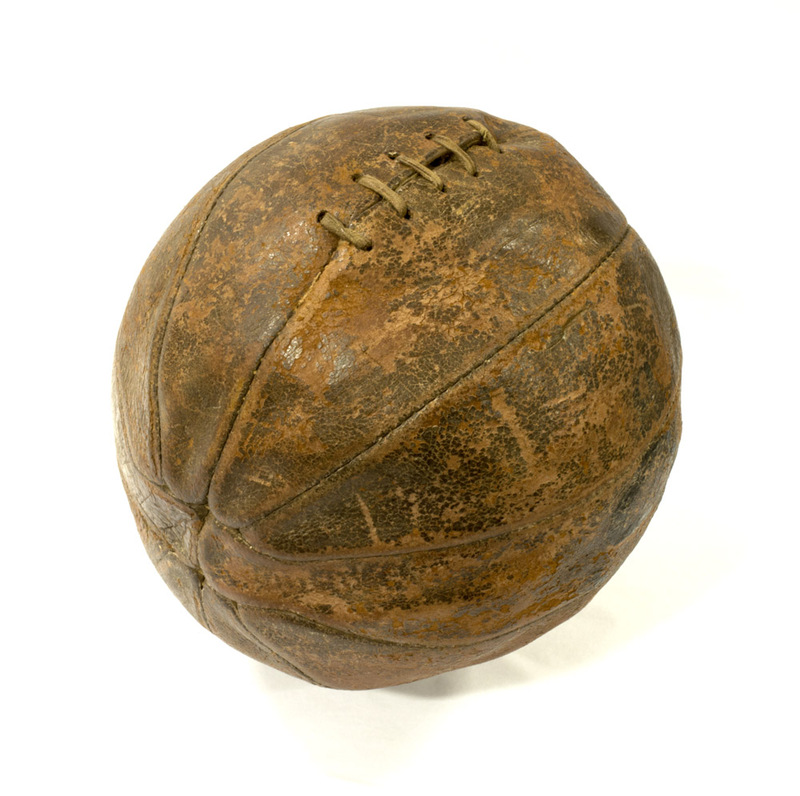 One of two footballs used by Captain Wilfred Percy "Billie" Nevill and his men at the Battle of the Somme, 1 July 1916. The unit involved was ‘B’ Company of the 8th Battalion The East Surrey Regiment. The date of the incident was 1 Jul 1916 and it occurred during the attack at Montauban during the first Battle of the Somme. 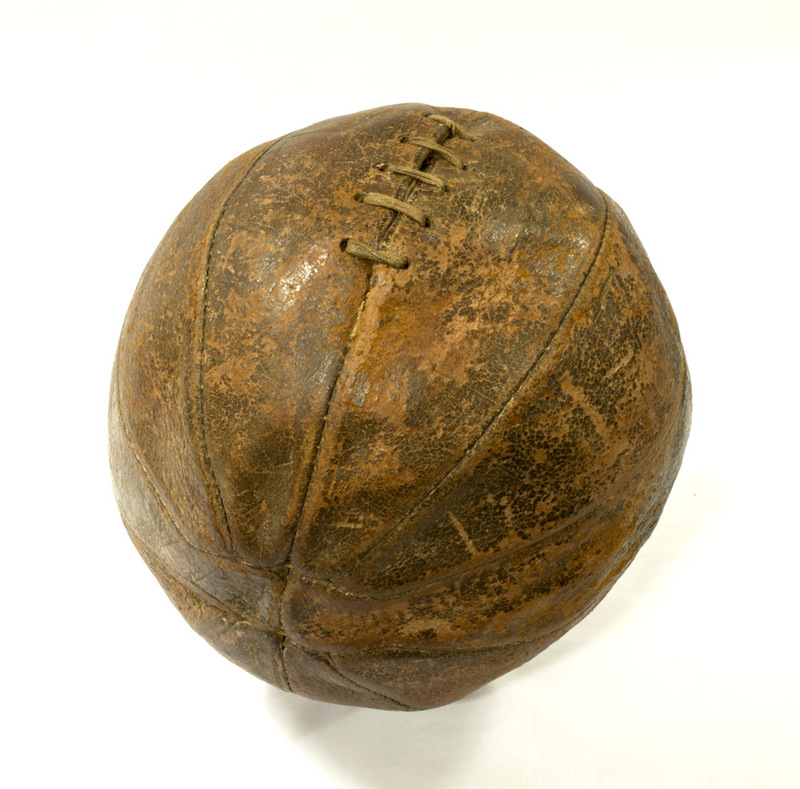 The Company Commander, Capt WP Nevill, whilst on leave in England in May 2916, purchased two footballs (this may be correct, but some reports state 4) and took them back to his company in France. 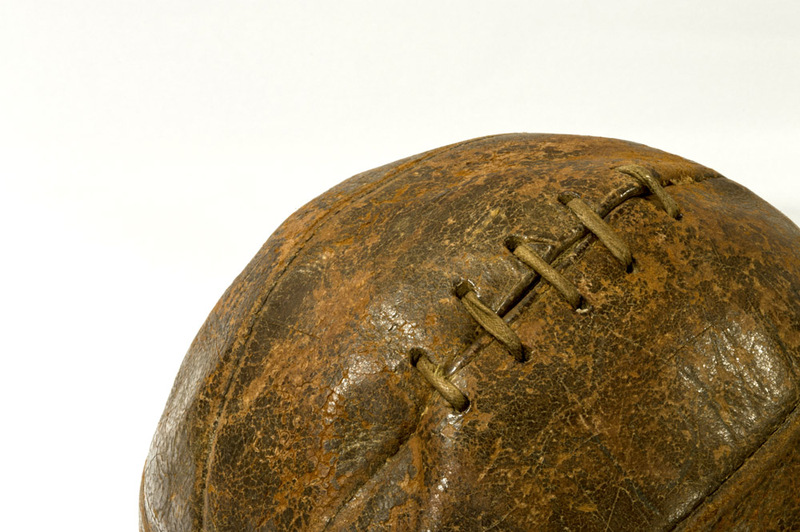 Shortly before the Montauban attack he had one of the footballs inscribed with the words ‘The Great European Cup – The Final – e Surreys v. Bavarians. 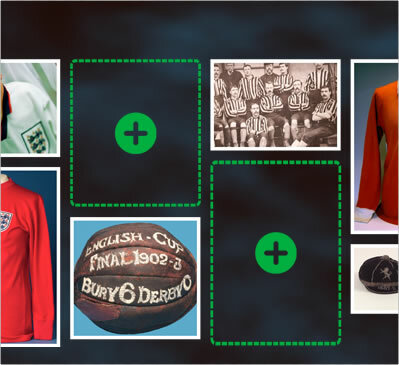 Kick off at Zero.’ and the other in large letters ‘NO REFEREE’. 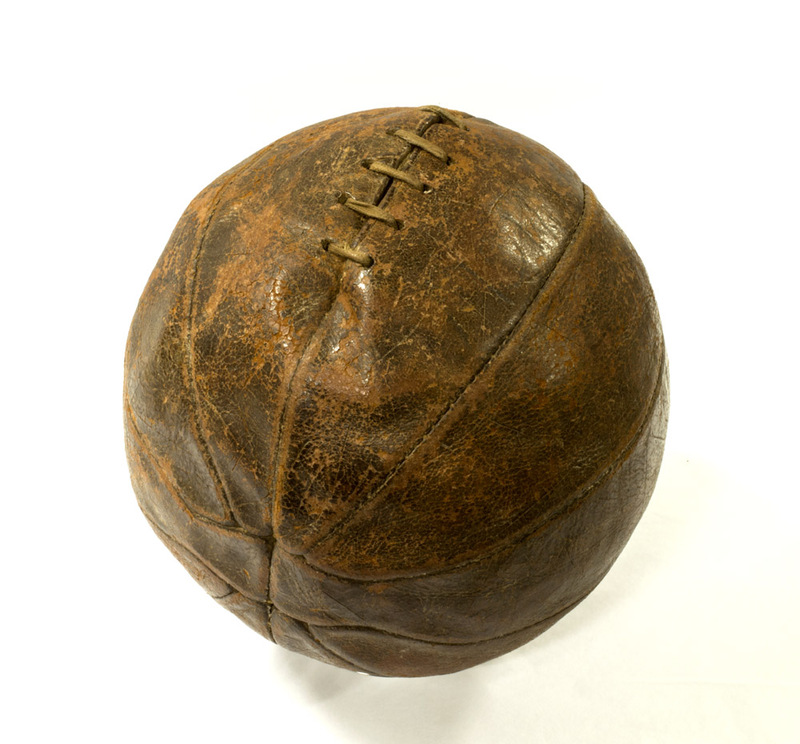 One football was kicked off by Capt Nevill and the other by Pte AA Fursey of No 6 Platoon as the company ‘Went over the top’. Captain Nevill was killed during the attack, and it is believed that Pte Fursey was also killed. We have no records of any participants surviving today. 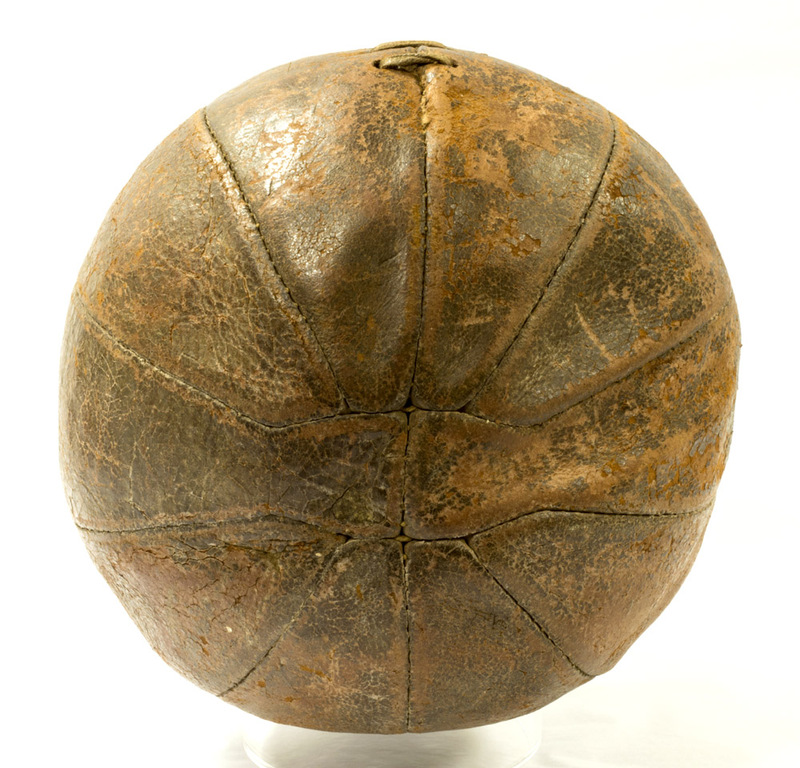 Neither of the balls appeared to have been punctured but they were scarred by barbed wire and the lettering has disappeared. That kicked off by Capt Nevill, The Surrey Infantry Museum, Clandon House, Guildford, (now destroyed by the Fire on the 29th April 2015). 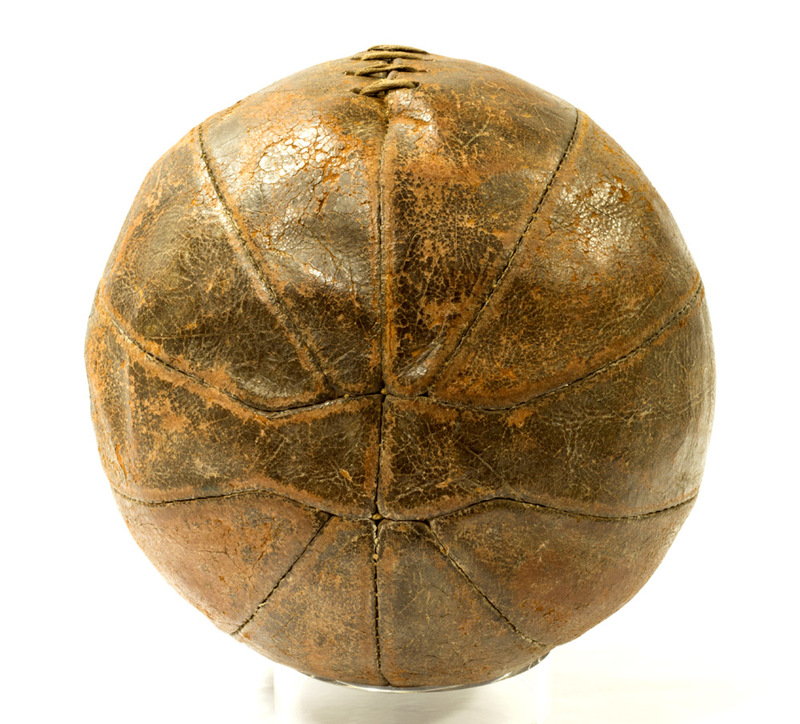 That kicked off by Pte Fursey, Home Counties Bde Museum, Howe Barracks, Canterbury (in May 1989 the museum was moved to Dover Castle, where the ball is displayed).